At It Takes A Village Infant Toddler and Preschool Center, we continue fulfilling our goal of providing quality childcare services to better support your parental responsibilities. 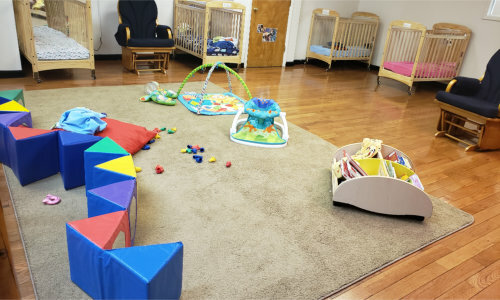 With our Waddler Class, we also open room for infants to explore, develop skills, reach milestones, and grow in a healthy environment apart from your home. We are working with new or not-so-new parents who need an extra hand watching and supervising their infants while they need to run some errands or report to work. Our highly trained and professional childcare providers understand and acknowledge the serious demands of infants. Not only do they need feeding supervision, but they also need hygienic care, diligent monitoring, and tender, loving attention. In our Waddler Class, your infant can experience all these and more. We invite you to visit us personally at It Takes A Village Toddler and Preschool Program or browse our photos to have a sneak peek of how we are keeping your precious angel safe, secure, and well-attended to. We know that nothing gives you peace of mind more than being assured that your baby is in good hands. You’re welcome to tour our facility or contact us for inquiries! 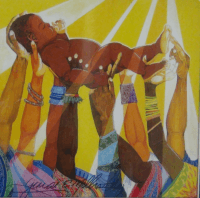 To fully address the developmental needs of children of all ages. Schedule an appointment to consult with our school's administrative staff.